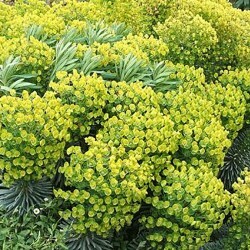 Euphorbia There are 6 products. Spurge, after him. Martini. Compact form. 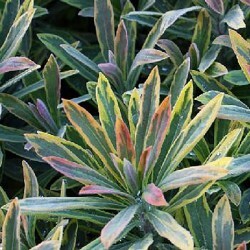 Evergreen, kaleidoscope cream, green blue is tinting of red, pink and orange in winter. Chartreuse yellow flowers. Massif tray. All-drained soil, drought resistant. Iced version of tasmanian tiger leuphorbe which it originated. Refreshing green evergreen of water jock money. Inflorescences white bracts of water green eye cream. Massif tray. Culture easy in any soil drainage. 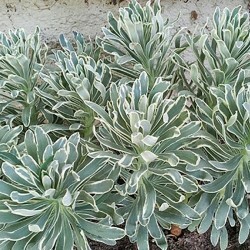 Great architectural euphorbia the persistent bluish foliage. Long luminous flower in february. Flowers in spikes giant fluorescent lemon yellow without black macula. Ordinary soil, even poor and dry. 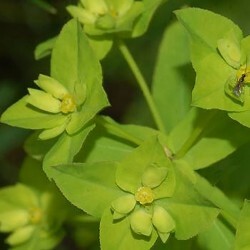 This marsh spurge forms large clumps branched murky green foliage. Charteux green bracts yellow flowers. Moist, swampy preferably, but very tolerant of drought. Polychroma leafy foliage remaining purple and red all summer. 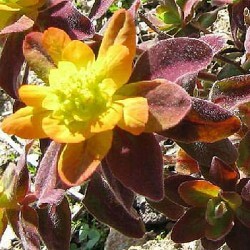 Beautiful blooming chartreuse green, golden yellow and orange contrasting with the dark foliage. Compact and rounded habit. Drained soil, humus. 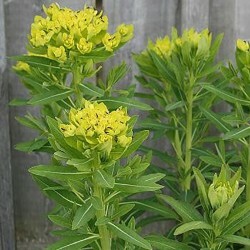 Spurge fields to lance-shaped leaves very finely toothed rod and turning red in late season. Many flowering branches yellow under lombelle terminal acid. Any good garden soil.